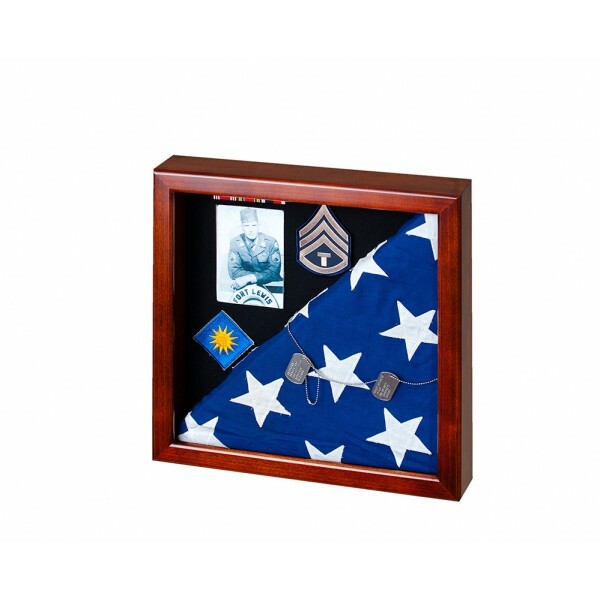 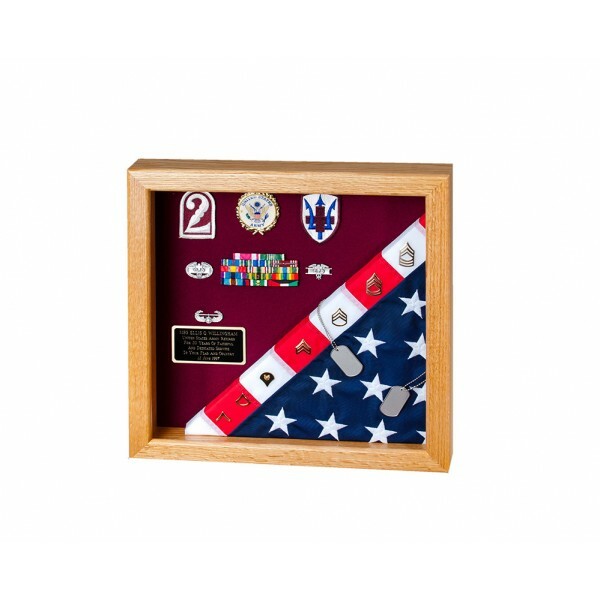 Our FB-250-SQ "Square" Flag Display Case showcases both the flag and military awards. 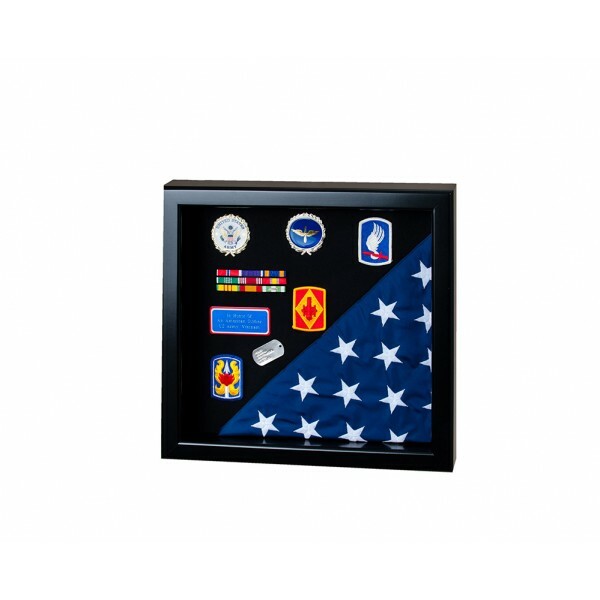 It comes with your choice of standard velour color background; Velcro-compatible material is available for a slight additional charge. 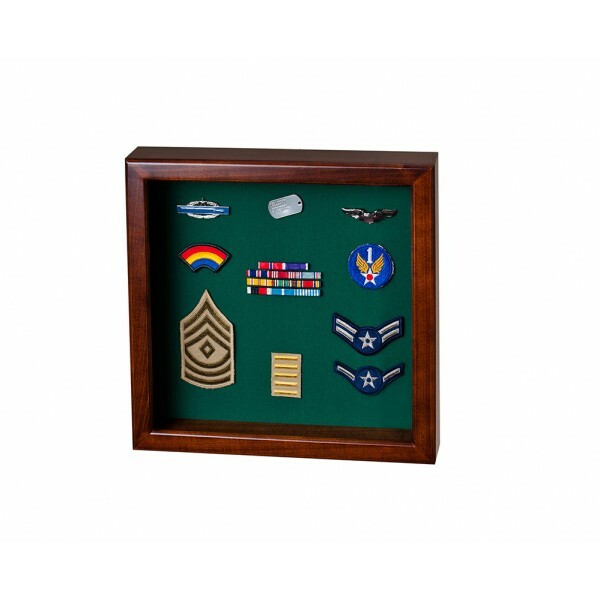 • Depth between the glass and masonite is 2 3/8"
Color choice of Velcro-compatible material: Black, Burgundy, Camel, Gray, Green, Oyster, Red, Navy Blue or Royal Blue.